Last night WWE put on its fall classic event, the Survivor Series, in Los Angeles. To commemorate this iconic event, WWE fans should head over to HOMAGE to check out their latest wave of officially licensed WWE retro t-shirts featuring four iconic WWE Superstars. 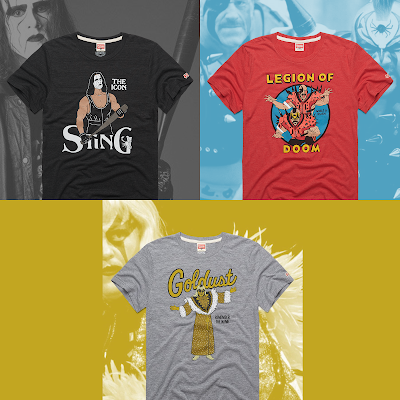 This new crop of WWE Superstars Retro T-Shirts includes “The Icon” Sting, Goldust “Remember The Name” and the Legion of Doom “What A Rush”. 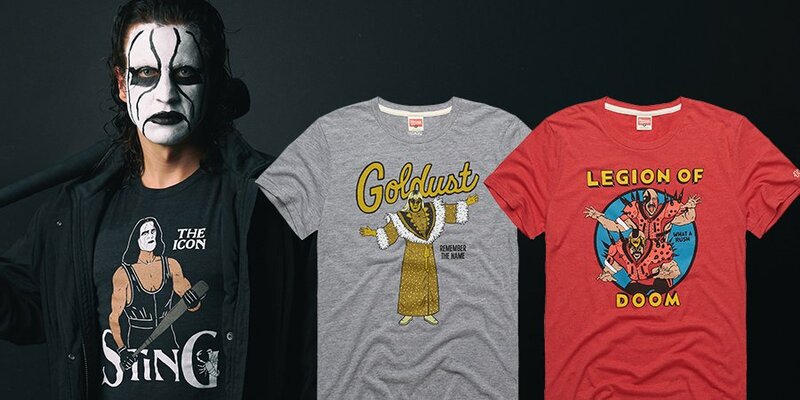 All three WWE Superstars Retro Wrestler T-Shirts seen here are currently available at the HOMAGE online store, in sizes XS-3XL, for $32 each.